I love researching old beers and old breweries and this week got to do just that. Paulaner Salvator has been brewed for more than 375 years. They say they still use the original recipe. It is the highest selling double bock beer in Germany today and at 7.9% APV is the strongest beer brewed at Paulaner. 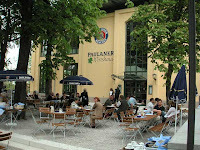 The brewery itself is Germany's 8th best selling brewery. Back in 1634, the monks in the Munich Neudeck monastery were making a strong beer they called Salvator to help get them through lent. Any beer they did not drink is given to the poor or sold at the monastery tavern. Private breweries wrote a letter to the town council complaining about the competition from the monastery. The letter was saved and is the oldest document at Paulaner brewery. The beer was a Bock style and was permitted to be sold only on holidays but in 1780, the monks were allowed to serve their beer without any restrictions. In 1799, the monastery was closed and the state bought the brewery. In 1806, the state sold the brewery to Franz Zachel. 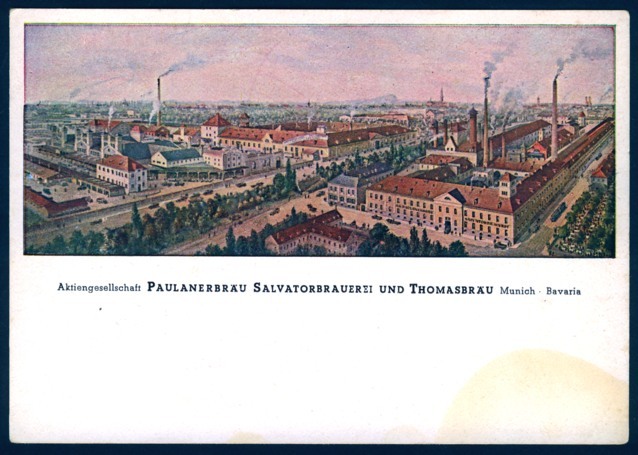 Interestingly enough in 1837, King Ludwig declared Paulaner Salvator a luxury article. Why? There were strict pricing on beers at the time and by declaring this beer a luxury item, meant it was free from any government price controls. 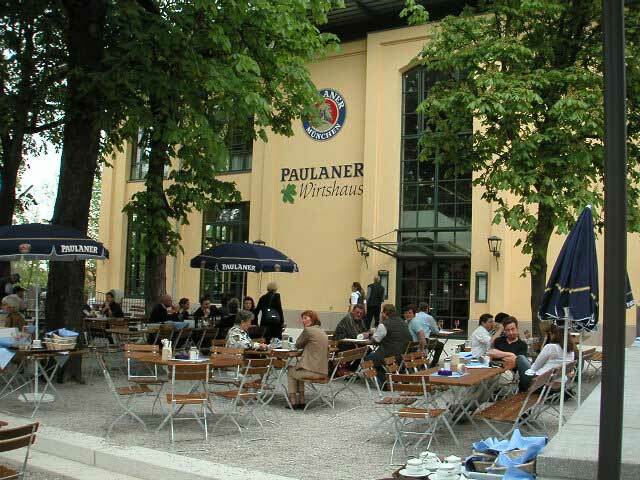 In 1994, the brewery was bought by the Kulmbacher brewery group and now Paulaner belongs to the BHI (Brau Holding International AG). Now, time to crack it open for a taste. The beer pours a light brown in colour with a head that quickly dissipated, and I found it to have a nutty aroma. On tasting it, the malt sure comes through. At 7.9% alcohol, I had expected to be able to taste the alcohol and feel a bit of its burn. I was not disappointed to discover that was not the case. The flavour of the darker malt comes through. It is a very tasty beer. With the alcohol being as high as it is, not one to sit down to have a few while watching the game. It is a nice warming beer that would be good to come home to on a crisp winters day.